Bordering Canada on the Pacific coast, Washington State offers a wealth of experiences from wine-tasting to hiking, jazz clubs to whale-watching. 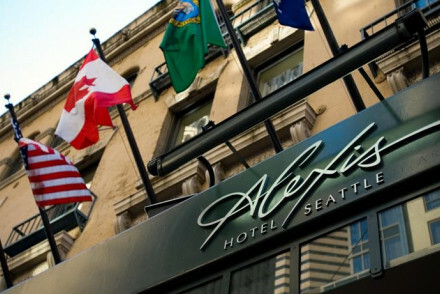 Our selection of the best places to stay in Washington, allows you to indulge in this extraordinary range of activities. The state is perhaps best-known for the techy hot-spots, music scene and laidback coffee-houses of Seattle, its largest city. Amongst the city’s big attractions are the futuristic Space Needle, atmospheric Pike Place Market, waterfront Aquarium, and Olympic Sculpture Park. Don’t forget to check out the Fremont neighbourhood, to the north of the city centre, with its galleries, shops, and eateries - and two-ton concrete sculpture, the Fremont Troll, tucked beneath the Aurora Bridge. But Washington is equally a state of the big outdoors. There are hiking trails in the numerous National Parks, such as Olympic (with its rainforest) and Mt Rainier. For something more ambitious, you could explore the snow-capped Cascade Mountains; great, obviously, for winter skiing. Or for a back-to-nature feel, head to one of the forested islands in Puget Sound. Here you can go whale-spotting as you take a cruise or go kayaking. Water-lovers will be in their element: the state has more than 3000 miles of coastline, added to which there are numerous freshwater lakes and reservoirs. Dare you try the Class lV rapids on White Salmon River? 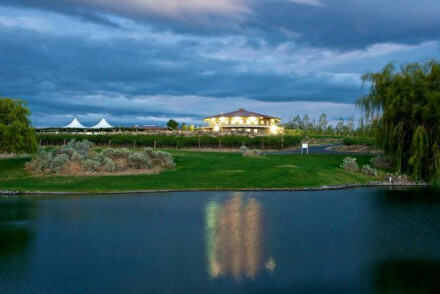 Of course, you can just chill out on a beach or take a vineyard along the Columbia River. A little-known fact is that, with more than 650 wineries and vineyards, Washington is the country’s second premium wine producing state. And there are plenty of interesting menus to sample. As a coastal state blessed with agricultural abundance - oyster beds, wild salmon rivers, fruit orchards and a rich farmland - it’s a place where fresh ingredients abound. Throw into the mix the fact it’s a major Pacific Rim seaport area, and you can expect a terrific fusion of world cuisines. But it’s also a down-to-earth place, so you can still get a great cheeseburger. 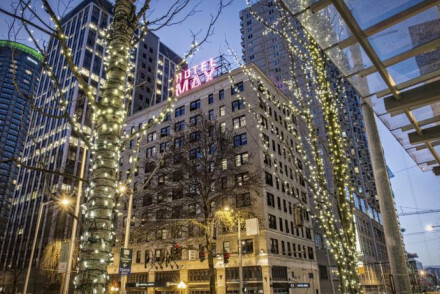 A well-priced, contemporary styled hotel in central Seattle, Hotel Monaco has slick rooms - some with jet-baths, a 24-hour gym, crowd-pleasing menus and a great downtown location. 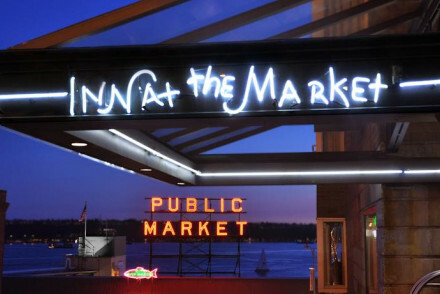 The Inn at the Market, as its name suggests, is in a prime location by the famous Pike Place Market. With light, contemporary styling, views over Elliott Bay and a choice of three restaurants, it gives a real taste of the buzz of Seattle. 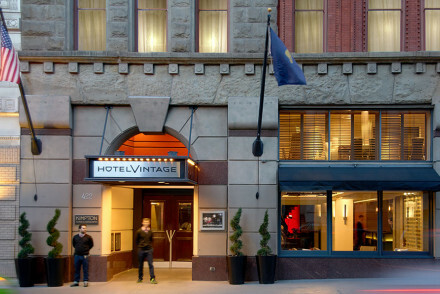 Chic and stylish, The Alexis Hotel offers huge rooms, a funky café-bar and an Aveda Spa as well as a prime location. 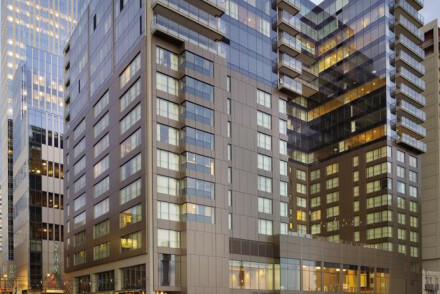 For sheer luxury in downtown Seattle, you don’t do much better than the Four Seasons Seattle. 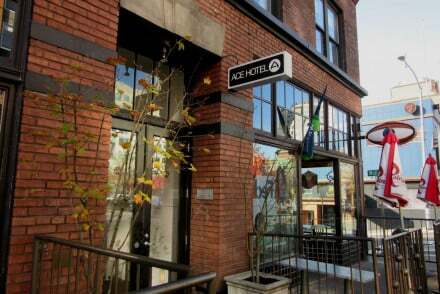 Most rooms - all generous with space, and with a relaxed, contemporary style - enjoy fantastic views over Elliott Bay; plus there’s a spa, rooftop pool and a choice of restaurants. 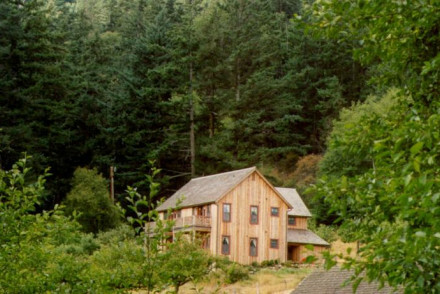 The wooden-clad Turtleback Farm Inn sits at the foot of Turtleback Mountain on beautiful Orcas Island, and with its spacious rustic rooms, and surrounded by 80 acres of farmland and forest, makes a perfect hideaway. 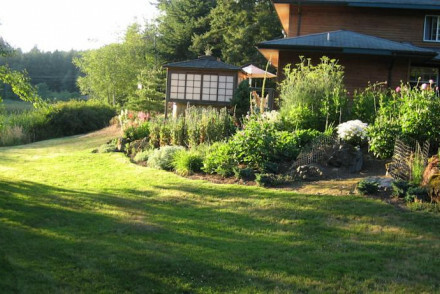 Otters Pond, also on Orcas Island, is an eco-friendly B&B with a peaceful, home-from-home atmosphere. Rooms are understated, contemporary country-house and the sumptuous breakfasts will set you up for the day. 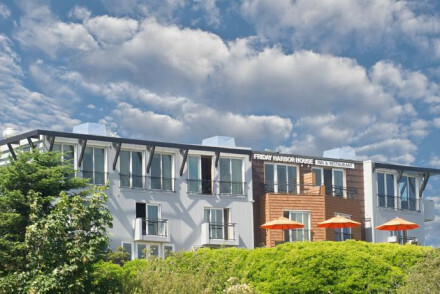 The seafront Friday Harbor House on San Juan Island is a small, quiet hotel with contemporary rooms, full spa and renowned restaurant. Like most of the island hotels, you come here to either chill-out with the views or take full advantage of the hiking trails and water activities. The light, rustic-chic rooms at The Willows Inn on Lummi Island make this a tranquil place to refresh and revive. Whale-watching, kayaking and cycling are all on offer, then return to meals that are made from seasonable and sustainable products. In the foothills of the Blue Ridge Mountains, and surrounded by vineyards, the cottages of The Inn at Abeja make for a perfect romantic hideaway. Light-filled and full of warm woods, each has a private terrace. Gourmet breakfasts are served, and there are plenty of restaurants in nearby villages. The rooms at the Cave B Winery Resort have breath-taking views over hills and gorges. As well as wine-tasting, there’s an in-house spa, outdoor pool plus activities that include fishing, trekking and hiking. 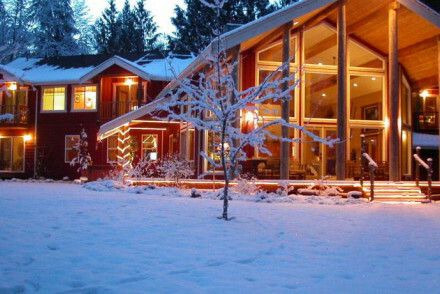 With just two rooms, set amidst nine wooded acres, and overlooking a private lake, Lost Mountain Lodge, on the Olympic Peninsula, is well-named. Homely but luxurious, with private terraces and spa-baths, you can spend the day hiking or bird-watching or simply relaxing in the garden. 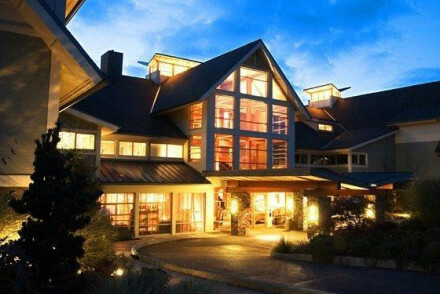 In a spectacular location beside Snoqualmie Falls and with views of the Cascade Mountains, the Salish Lodge and Spa can be either a romantic spa getaway or a good base for mountain-biking, trekking, golf - and, of course, skiing in the winter. Warm and welcoming, Arlington’s River Rock Inn is like staying with friends with its large, homely bedrooms, games to play and books to borrow to read beside the fire. Close to whale-watching opportunities on San Juan Islands, too. 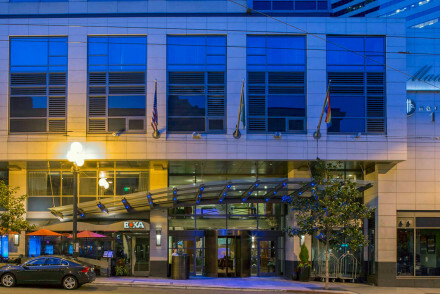 In the heart of downtown Seattle, and close to Elliot Bay waterfront, the modern Hotel 1000 offers spacious, contemporary rooms, including family suites. And there’s a gym and spa to keep the grown-ups happy. 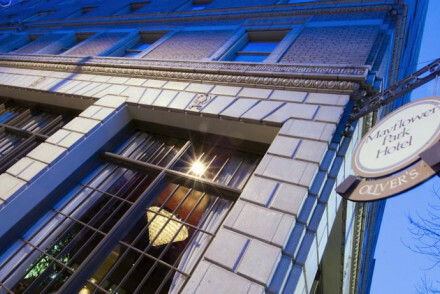 Another well-located and well-priced hotel in Seattle is Hotel Max, a period hotel that’s had a modern and colourful makeover. It features local artists’ work and a popular restaurant focusing on the best of North-West cuisine. Still not sure which to book? For more ideas, browse our list of the best places to stay in Washington State or contact one of our friendly Gurus for advice.. 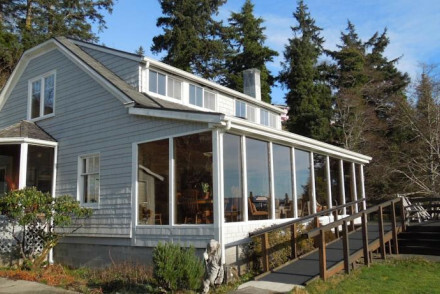 This 1890s farmhouse-turned-hotel sits at the foot of Turtleback Mountain on Orcas Island, one of the most beautiful in the San Juan archipelago. 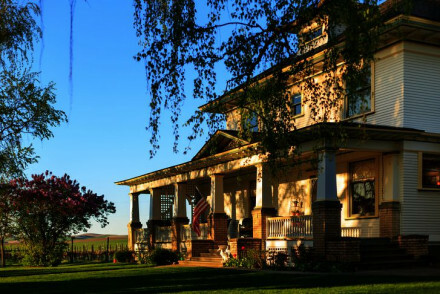 With 80 acres of farmland, leafy forests and six ponds and eleven uniquely decorated rooms, the inn is perfect for getting away from it all. Great walks - There are a bounty of walks and trails for the most budding of flaneurs to explore. Back to Nature - Located just moments from the Moran State Park this property is close to nature. Birdwatching - With an impressive array of local birdlife twitchers will feel right at home. Views of Baker's Bay and proximity to Cape Disappointment State Park make this a back-to-nature home. Sleep well in the comfortable and cosy rooms with complimentary breakfast on the deck, or in the dining room. An adult's only experience, so explore the local area at your leisure. Local markets - Head to Klipsan Beach for an institution that is Jimella's Seafood Market. Great walks - Walk up to the 1848 Cape Disappointment Lighthouse. Bay views, crackling fireplaces and spa treatments welcome guests from far and wide. Large, contemporary rooms look out over the Pacific Ocean. Keenan's at the Pier is a casual affair with scenic views, extensive wine list and locally sourced dishes. Great walks - Explore Larrabee State Park by foot and at your leisure. Take a picnic. 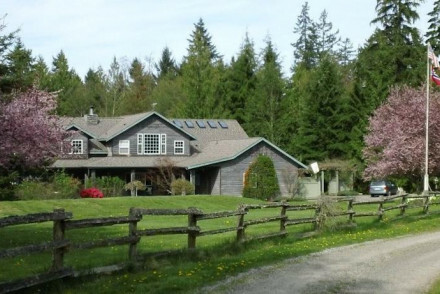 A quaint waterfront property in stunning Orcas Island. Traditional rooms feature antique furniture, tartan fabrics and working fireplaces. A large terrace is the ideal spot for an evening drink. Find an array of outdoor pursuits in the surrounding countryside. A charming stay. Total relaxation - Step into the laid-back side of life in the quaint lake side property. Birdwatching - Spot from the property: bald and golden eagles, turkey vultures, merlins, hawks, crom bills and kingfishers to name a few. 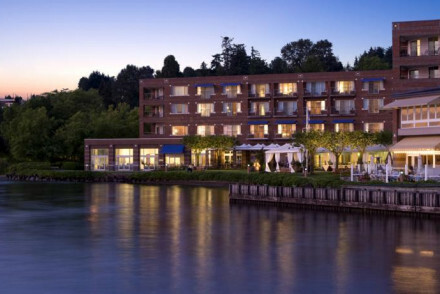 Resting between Cascade Mountains and the Saratoga Passage, this Pacific Northwest inn provides an oasis of calm and serenity. All rooms have contemporary interiors & private decks with ocean views. The open kitchen allows guests to see the chef in action and the spa completes the ultimate retreat. Sights nearby - Head to Fort Casey State Park for 467-acres of marine-scape and a lighthouse. Birdwatching - Bird lovers should go feast their eyes at Langley City Beach and Marina. Local markets - Don't miss Oak Harbor Thursday Public Market. This truly romantic scene shows off breathtaking views of cliffs, gorges, rivers and vineyards. Comfortable Cliffehouse, cave or Yurt rooms offer modern luxuries, access to spa treatments and outdoor pool. Tendrils Restaurant is a seasonal affair with a strong wine list to match. Fishing - Fishing in the river is popular with all guests. Great walks - Stunning walks can be had in all directions. Make sure there is room at this popular Inn! Enjoy the proximity to historic Arlington, stunning mountain views, glacier lakes and wineries. Large cozy rooms are homely and make an extremely comfortable stay. Breakfast in the dining room, games by the fireplace or relax at the in-house spa. Great walks - Explore the North Cascades National Park by foot with a guided tour. 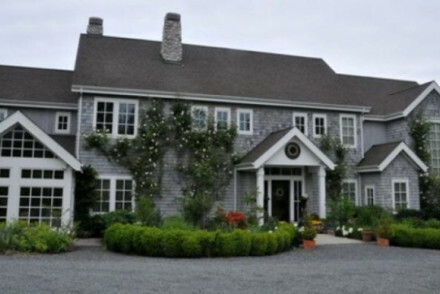 This Victorian ocean front boutique B&B is adult only and perfect for romantic getaways and outdoor enthusiasts. Classic bedrooms offer spa baths, views and comfortable beds. A delicious breakfast sets you up for a day on the bike or exploring on foot to discover Washington’s Olympic Peninsula. Sights nearby - Catch the ferry from Port Angeles and explore Victoria. Views - Ocean and garden. 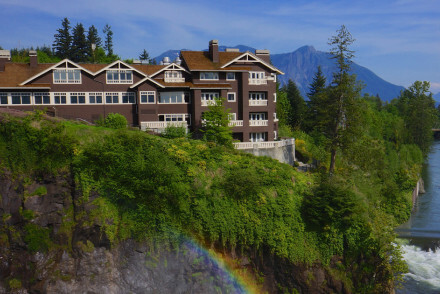 Perched over the dramatic drop of Snoqualmie Falls, this luxury boutique is a romantic spa getaway. 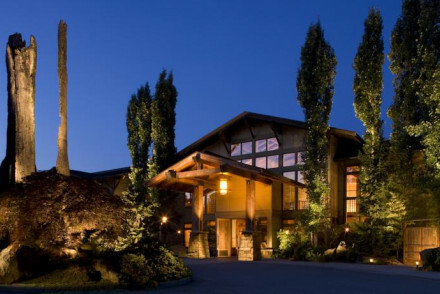 The modern comfortable rooms contrast against the Cascade mountains, the golf course the roar of the falls. Northwest cuisine pays homage to the seasonal produce. Fishing - Fancy catching some trout? Well this is the area to do it. All the gear is avaliable at the local fishermans shop. Intimate getaways notch up a new sense of privacy in the 9 acres on the Pacific Northwest's Olympic Peninsula. Large, classically decorated rooms are a perfect hideaway with a spa bath. Full breakfast is available and a great way to start your day exploring the national parks and restaurants. 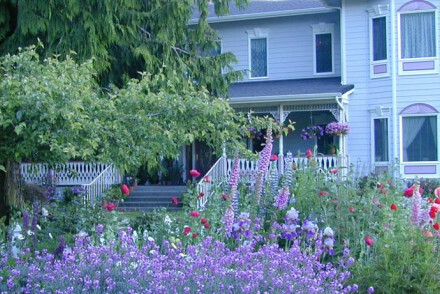 Sights nearby - Victoria, the capital city of British Columbia, is home tobeautiful mansions and well maintained gardens. Birdwatching - Dungeness Spit is a breeding ground for birds. Hideaway - A true hideaway in 9 acres of gardens. Small seafront hotel in an idyllic location. Modern, spacious rooms some with balcony overlooking the bay. 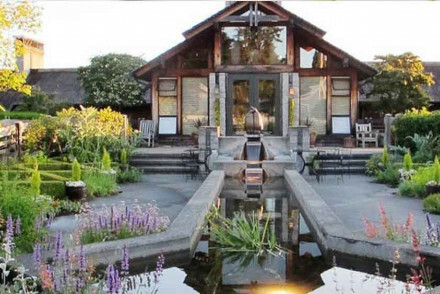 The restaurant at Friday Harbor House is renowned for its seasonal dishes using local produce. Perfect for a romantic getaway with stunning views & jacuzzi baths for two in every room. Sailing - 3 hours, half a day or a full days charter - explore the local island just off Washington mainland. Views - From its raised position, Friday Harbor House has lovely views over the bay. Kayaking - Crystal Seas Kayaks do hour or half day trips. Sights nearby - San Juan Island National Historical Park. Sun-kissed vineyards, rolling hills and intimate cottages make for a romantic mini-break in the foothills of Blue Ridge Mountains. Cottages are cozy hideaways among manicured gardens, stables and with a gourmet breakfast. Surrounding villages are home to a great array of restaurants and vineyards. Back to Nature - The idyllic countryside is an amazing escape from city life. Great walks - Explore the gardens, vineyards, creeks and wildlife. Birdwatching - Each room has a 'Birds of the Area' manual. 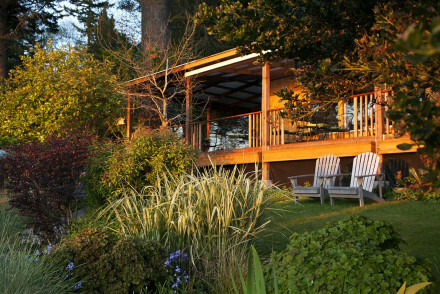 Eco-friendly B&B on Orcas Island boasts stunning views, peace and quiet and a home-away-from-home atmosphere. Slip into plush bathrobes and slippers, relax in an armchair and soak up the nicely decorated bedrooms. 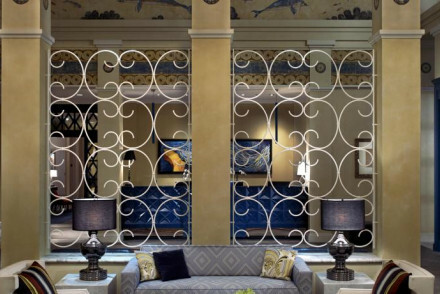 Five course breakfast in-room or on the terrace, or read a book at the library. Great walks - Explore the Moran State Park which the B&B just rests besides. Kayaking - Explore the sea at your leisure in a kayak or canoe. Ocean and nature-ventures make this boutique a great stay for couples and families wanting to experience a rest from city life. Light, contemporary rooms offer a warm welcome with fireplaces & organic products. Freshly foraged, fished and farmed fare create delicious menus. Enjoy the experience! Kayaking - Sea Kayaking is avaliable and a great way to see Washington State along the shore.